Q. How do I find books and articles by title? 2. 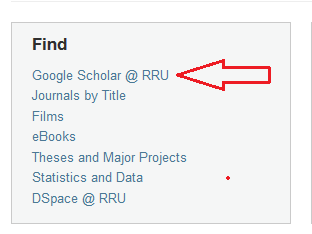 Google Scholar, making sure to access it through the library homepage. 3. Scopus, accessible from the ‘Research Databases’ tab on the library homepage.